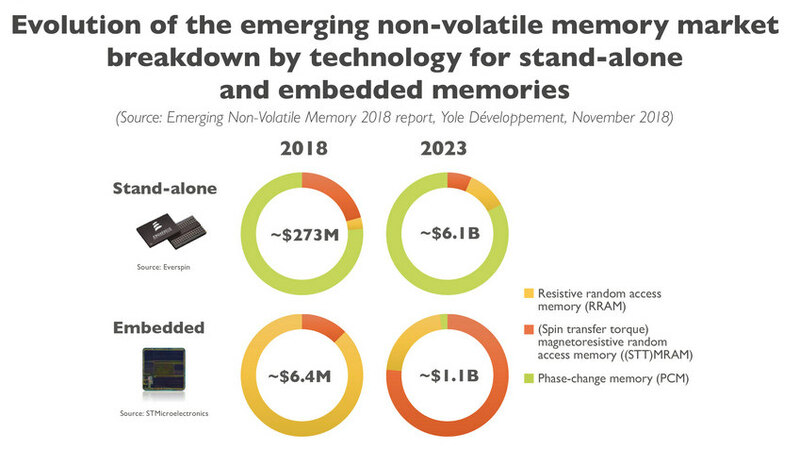 Yole sees "AI on the edge" as the most innovative application for embedded emerging NVM. The company expects that RRAM-based AI devices will enter the market after 2021. According to Yole, stand alone RRAM sales will grow from around $15 million in 2018 to around $1 billion million in 2023. 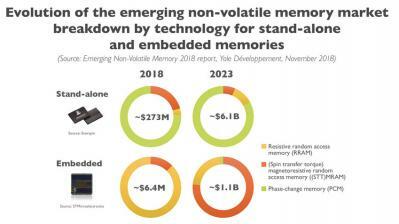 Embedded RRAM sales will grow from around $5 million in 2018 to over $270 million by 2023.